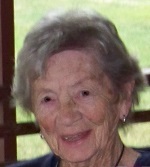 PORTAGE - Joan (Nan) Smith aged 93, passed away on Sunday March 31, 2019 at Our House in Portage. She was born on August 16, 1925 in DePere. She married Arthur Smith at the age of 19 on June 3, 1944 and never looked back. When Art left for Japan in service of his country during World War II, Nan wrote to him every day, and he arranged for a monthly delivery of flowers to her. They were married for 72 years, until his death in 2017. Nan was a school teacher for over 25 years before retiring with Art to their lake front home in Pardeeville. There they remained active at home and at church. They spent their time together sailing, skiing, gardening, playing bridge and hosting their children and grandchildren for memorable weekends on the lake. Nan generously home cooked every meal when they had visitors and of course, indulged them with her famous "Grammie" cookies. She touched all she met with her love for learning and made the most wonderful homemade pecan caramel rolls each Saturday. She leaves as her legacy a sense of caring, true love, integrity, and importance of family. She is survived by her children; Jim Smith (Jeanie) and Joanne Tesch (David); her grandchildren, Tim Adams, Peter Adams (April), Paul Smith (Julie), Alex Smith, Lindsey Stokes (Doug), Andre Smith (Tracey Buyle) and Jason Tesch (April Frank); her great-grandchildren Brittini, Mackenzi, Stephani, Sydni, Finnigan, Aubree, Kaylee, Alexis, Rachel, Chloe and Harper. Her great-great-grandson Trey, other relatives and many friends. She was preceded in death by her beloved husband Arthur, oldest daughter Sue (Smith) Reavis and her parents, Louis and Margaret. Mass of Christian Burial will be held at 10:00 a.m. on Friday, April 5, 2019 at St. Mary of the Immaculate Conception Catholic Church, in Portage, with Fr. Gary Krahenbuhl presiding. Visitation will be held from 9:30 a.m. until 10:00 a.m. on Friday at the church. 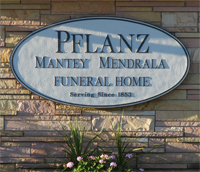 Burial will take place in Mount Calvary Cemetery in De Pere.